March 5, 2014, MCLEAN, VA — For the first time, Corcentric customers gathered together to share their experiences and ideas. The meeting took place at the AmeriQuest Symposium in Orlando, FL, where Corcentric customers joined nearly 300 executives from around the country for two days of thought-provoking sessions covering topics including innovation, technology, generational strengths, cyber security, and the economy. “This year’s Symposium was transformational for attendees, as it brought together a powerful lineup of visionaries to challenge and explore the most pressing topics facing business today,” said Kate Freer, Vice President of Marketing for Corcentric. The second day opened with renowned business advisor Ram Charan, who spoke on the future of business in a global and connected economy. The old business models that companies built upon are gone, he told the audience. He listed things a company must master to be truly digital, including digitization; mobile technology; analytics/algorithms; sensors which allow for machine-to-machine learning: and the use of cloud computing. The most emotionally riveting speaker at the event closed the morning session. 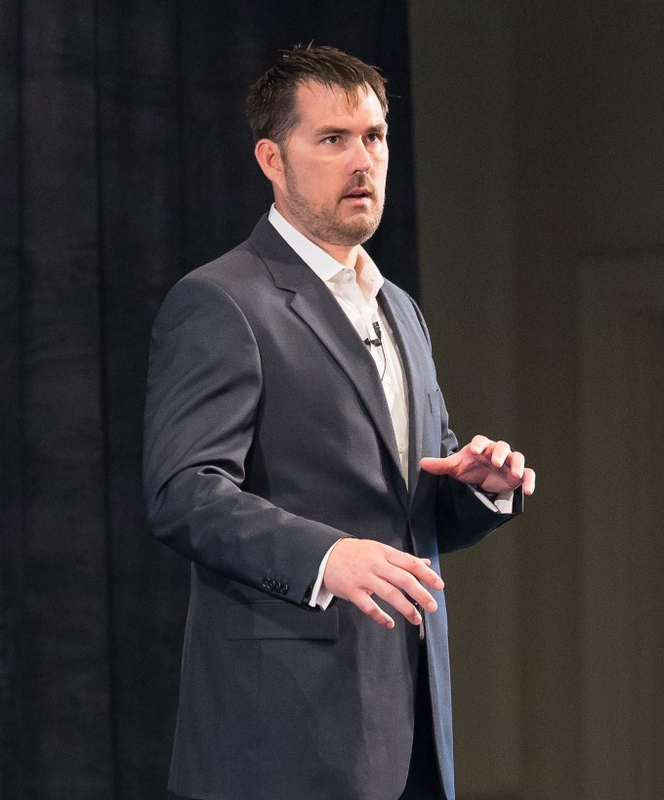 Marcus Luttrell, the author of the best-selling book “Lone Survivor” and the person portrayed in the current hit movie by actor Mark Wahlberg transfixed the audience as he related his youth, wanting to become a Navy SEAL, and the horrific story of the doomed mission he undertook with his team in the mountains of Afghanistan. The morning and afternoon sessions of the Corcentric Users Group gave customers from a wide variety of industries the opportunity to share best practices, challenges, and solutions when using the COR360 Accounts Payable automation workflow solution. Rob DeVincent, Vice President of Product Marketing for Corcentric, presented a product roadmap, including enhancements and release dates, as well as tips that would make COR360 an even more effective tool. The meeting, and the Symposium itself, concluded with an open session where COR360 customers discussed what they would like to see implemented in future releases.